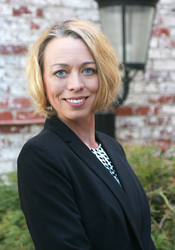 Lisa started her career as a Loan Officer with James B. Nutter & Company in 2017. She enjoys taking time with the borrowers she works with, making sure all questions are answered. To assist in making your process is as easy and stress free as possible is her #1 goal. When Lisa is not working, she enjoys spending as much time with her family as possible. She is married, has 2 wonderful kids, and 2 dogs. As a family they enjoy traveling & camping as much as possible. She grew up in Wisconsin and attended Western Wisconsin College.